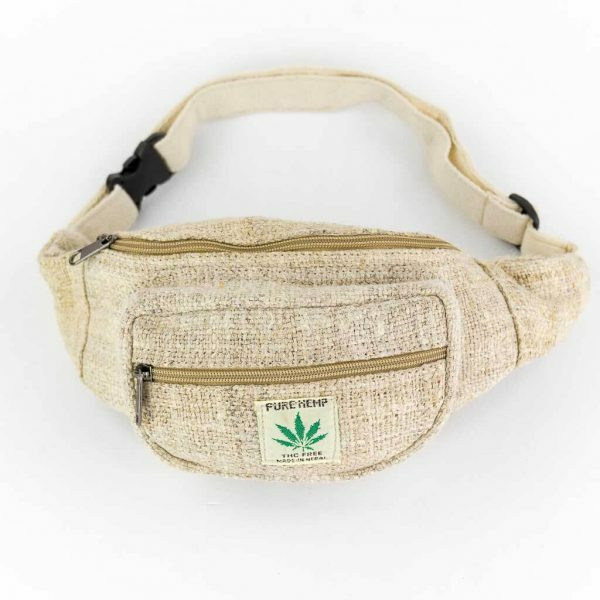 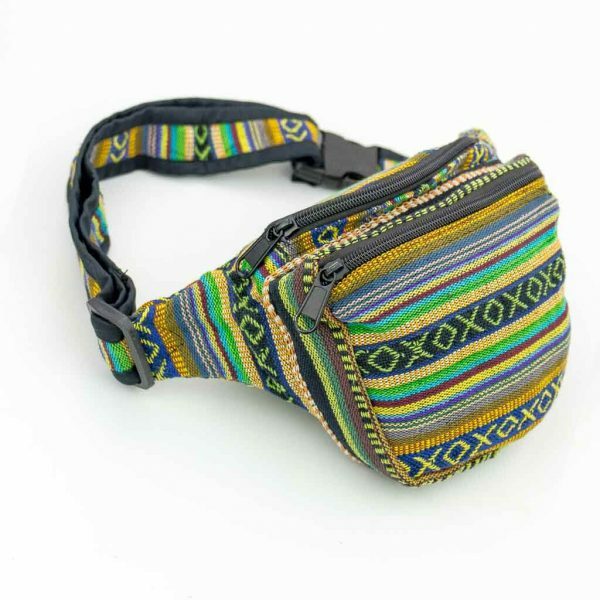 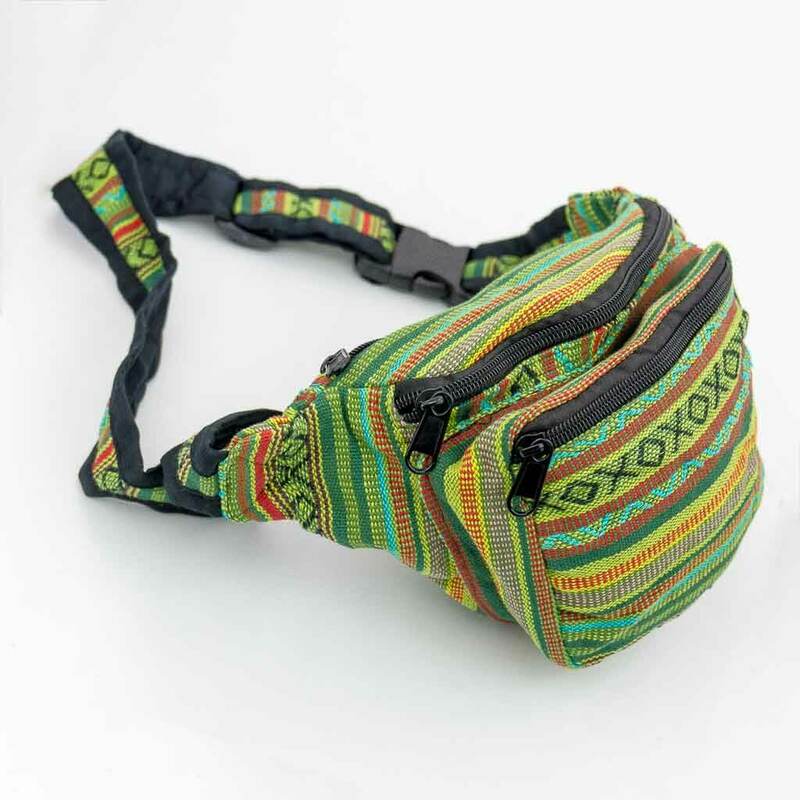 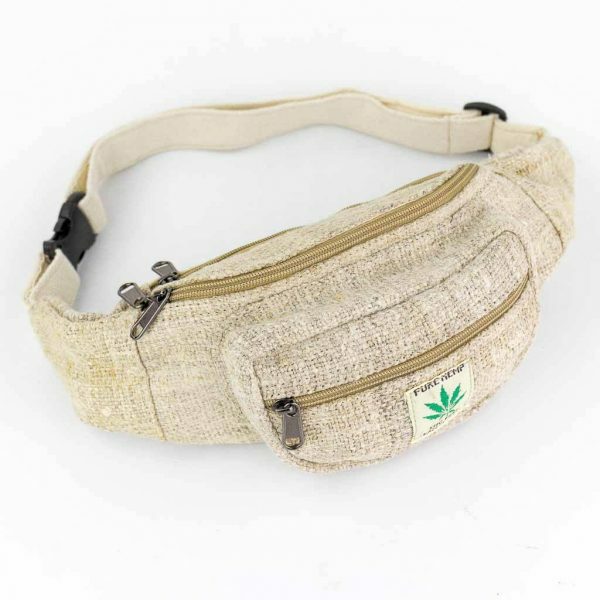 These funky unisex hemp bum bags are made in Nepal. 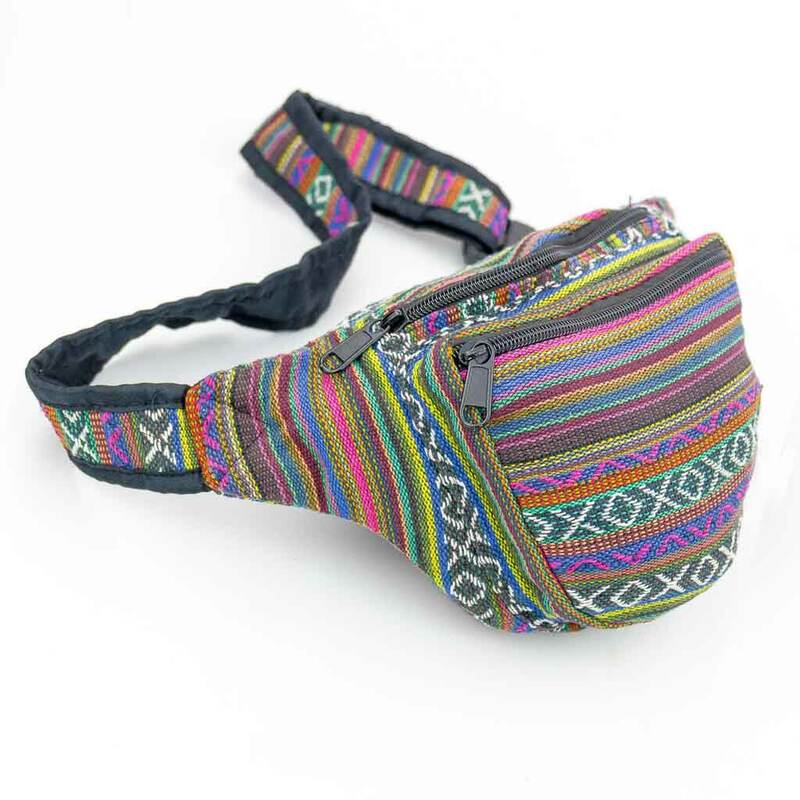 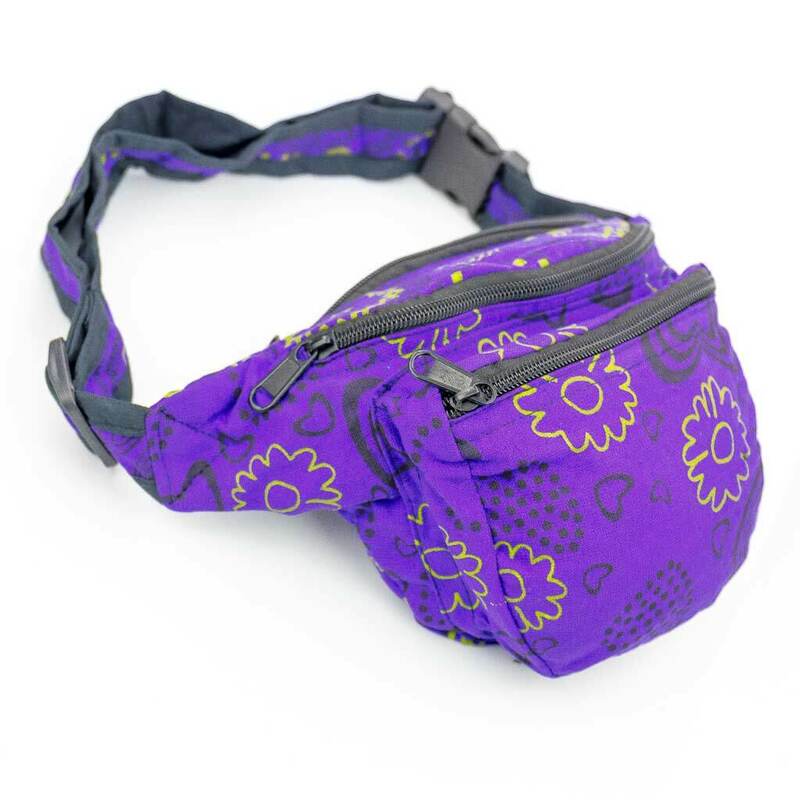 Colorful and lightweight, it comes with three zipped compartments with adjustable belt strap and clasp. It has been a festival favorite and is suitable for casual wear as well. 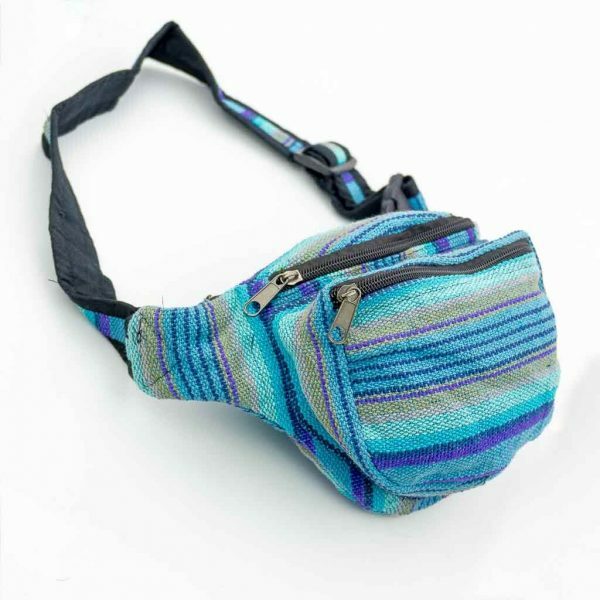 Cold hand wash only to preserve its natural look. 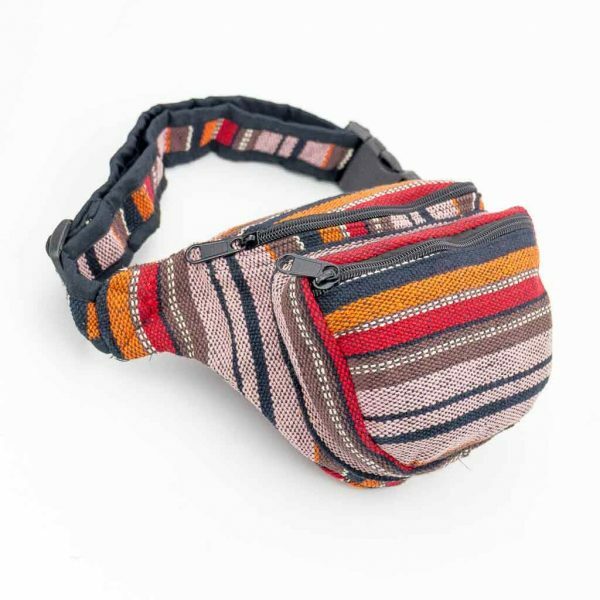 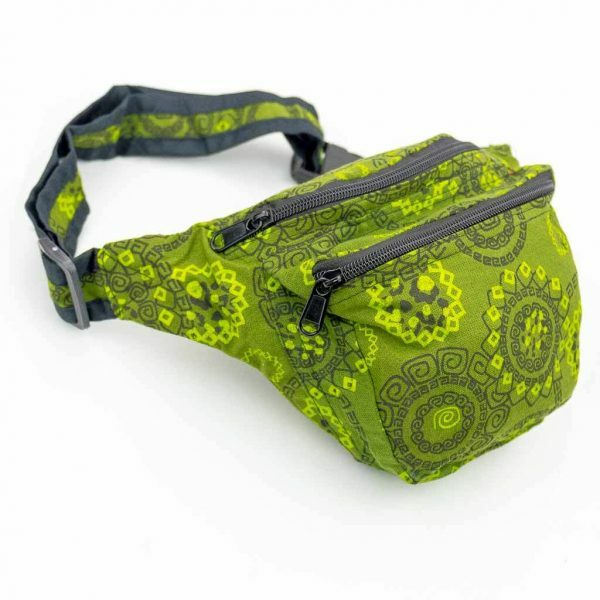 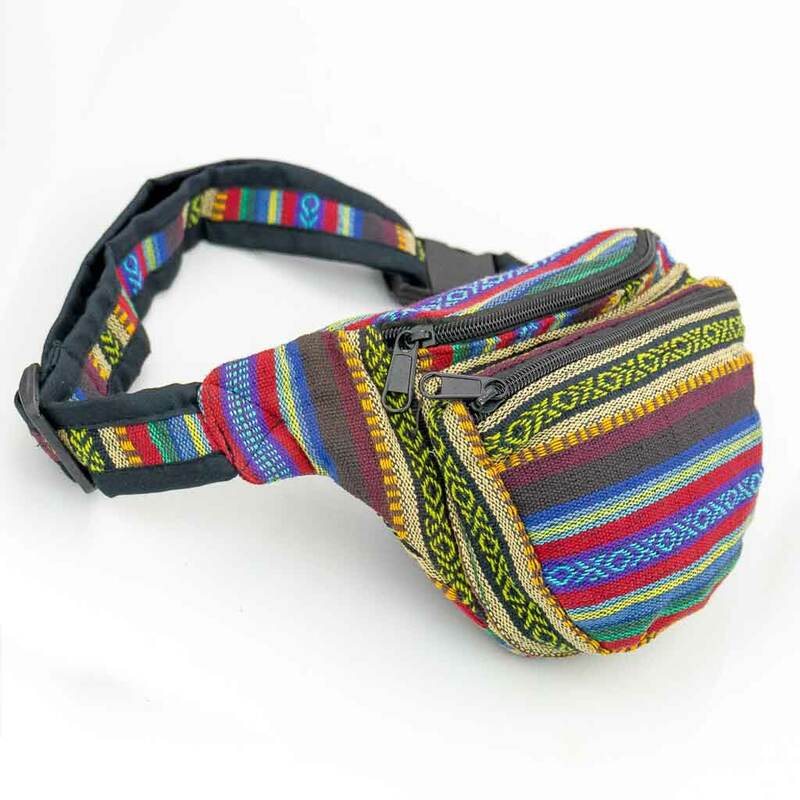 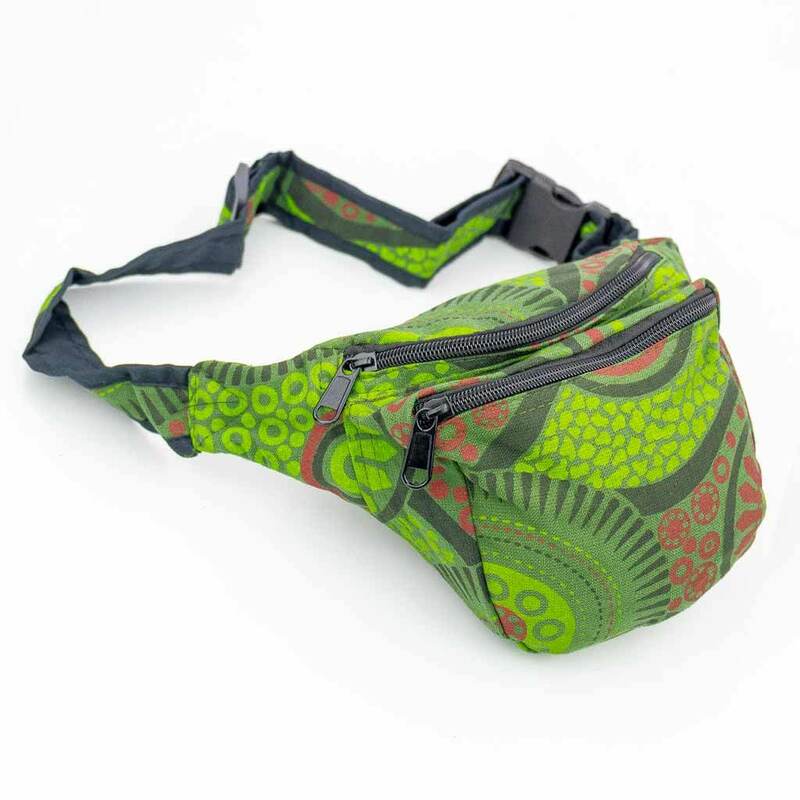 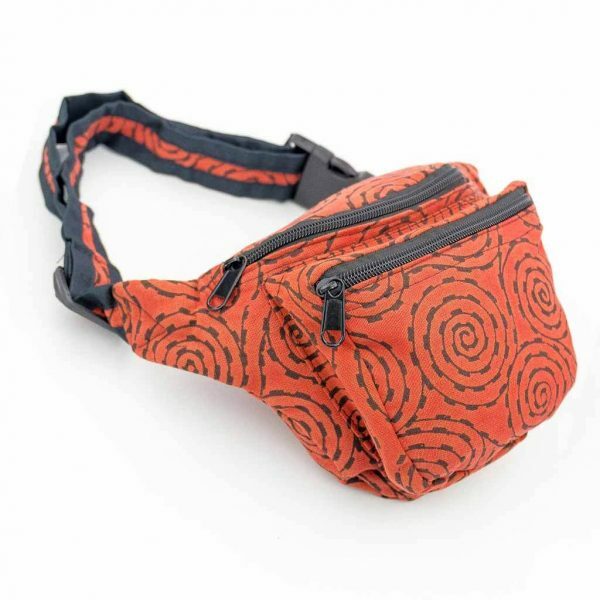 These funky unisex cotton bum bags are made in Nepal. 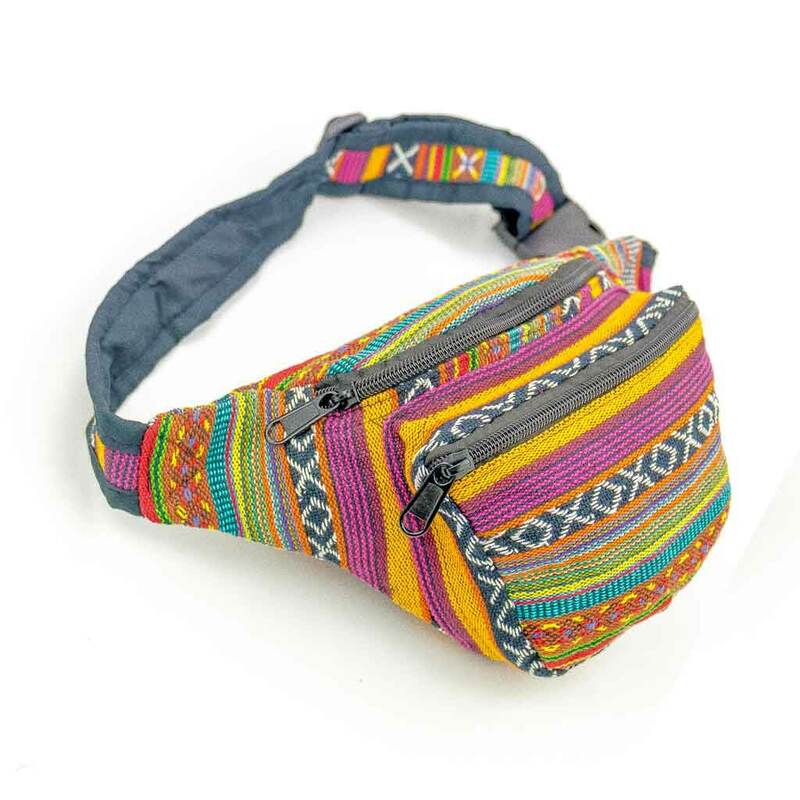 Colorful and lightweight, it comes with three zipped compartments with adjustable belt strap and clasp. It has been a festival favorite and is suitable for casual wear as well. Cold hand wash only to preserve its natural look.